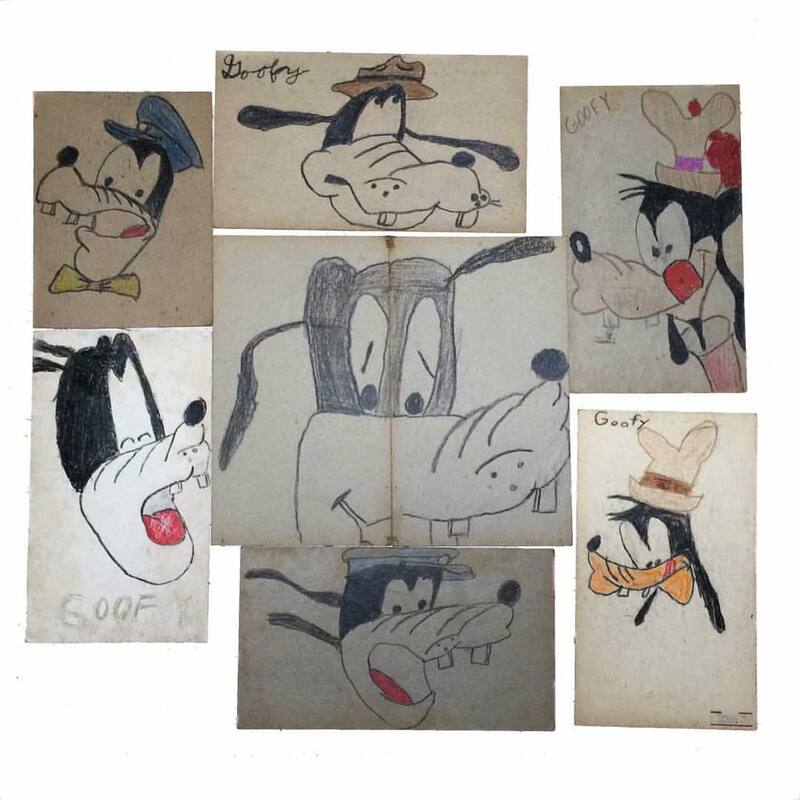 Some of the wonderful 1950’s children’s drawings depicting the many moods of Goofy we recently picked up. And lo, our fifteenth summer season is over, the kids are back at school, life returns to normal, and Phoenicia will be as beautiful as ever (if not more so) as the leaves on our mountains start to change before you know it. Our Last Blast Summer Weekend ends on Labor Day! Get Your Catskills Vintage On While You Can! Just arrived: vintage NYC subway rollsign. Phoenicia’s Mystery Spot Antiques is celebrating one last blast of Catskills summer before we revert back to our Fall Hours. and THEN…..we’re back to our Fall Hours, which are Sat, Sun, and Mon only. We’ve got lots of groovy vintage clothing, mid-century housewares and lighting, antiquarian books, killer vinyl and more continuing to come in all autumn long! We’re very excited to offer this vintage Brooklyn/NYC subway roll sign! You know, the sign you’d see on the front of the subway car, changed depending on the train’s route? These can sometimes be found as a piece of canvas, but this one is very scarce, as it’s still intact in its original MTA metal casing with gears to turn whenever you feel like a change of scenery. It’s also double-sided, and in incredible condition. Routes = GG, FF, F, E, D, DD and S for SPECIAL and include the avenues, i.e. 6th Ave-Houston Express, 8th Ave., etc. ). Consider it moveable NY art). For those of you who make the inevitable move to the Catskills from the city, this will be a lovely reminder of the city.